In August 2017, the Saint Thomas More Pre-Law Society at St. Francis College was revived after years of dormancy on campus. The society was reinvigorated by a handful of students, and today stands as one of the largest organizations at SFC with 50+ students. The Pre-Law Society hosted their first discussion of the year on Monday, regarding free speech and recent censorship of individuals on social media such as Alex Jones and Candace Owens. There were many varying prerogatives concerning the status quo of contemporary censorship in the United States; some students believed the government should regulate media corporations such as Twitter, Facebook, Instagram, etc. to prevent the suppression of free speech. Others expressed, since these outlets are private entities, they are then entitled to act as they please. The St. Thomas More Pre-Law Society is already off to a robust start and will host more debates in the coming months. The most notable events in the near future will be the induction ceremony on November 30th, and their semesterly Grand Debate in Founders Hall on November 16th. 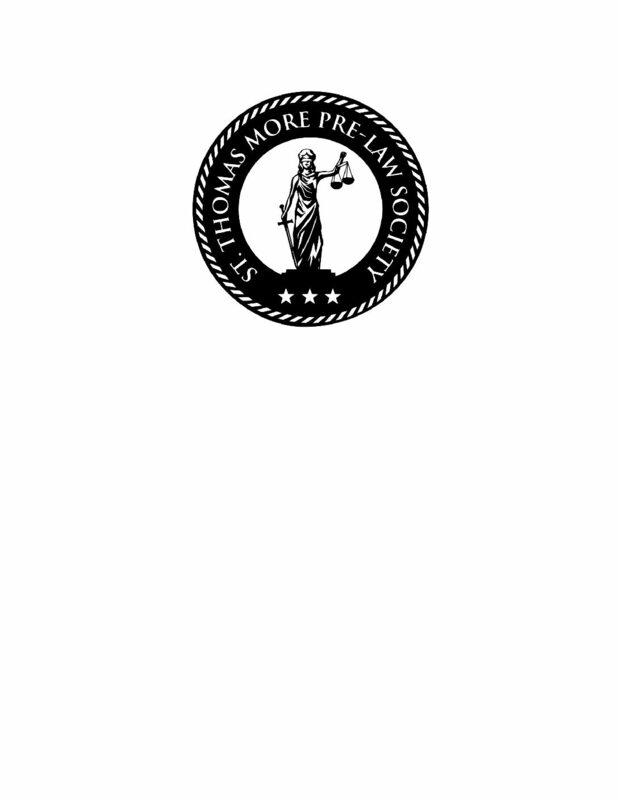 The Pre-Law Society, although ever-expanding, seeks even more members to add to their ranks, if interested please contact us: @sfcprelawsociety@gmail.com, while also making sure to follow our Instagram @sfcprelaw for moment by moment updates concerning Pre-Law Society events and news.